The Booker features a frame of Bronze married to wood veneers, creating integrated storage. Glass options in various hues filter and enhance the bronze interior. 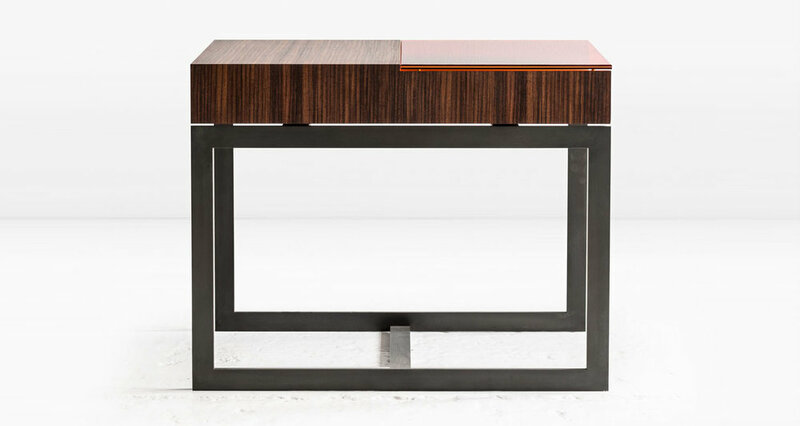 Shown in quartered South American Rosewood with Dark Amber glass on a Blackened Steel base. Last image shown with Lemon Yellow glass and Nickel frame. Available in other veneers and glass colors.